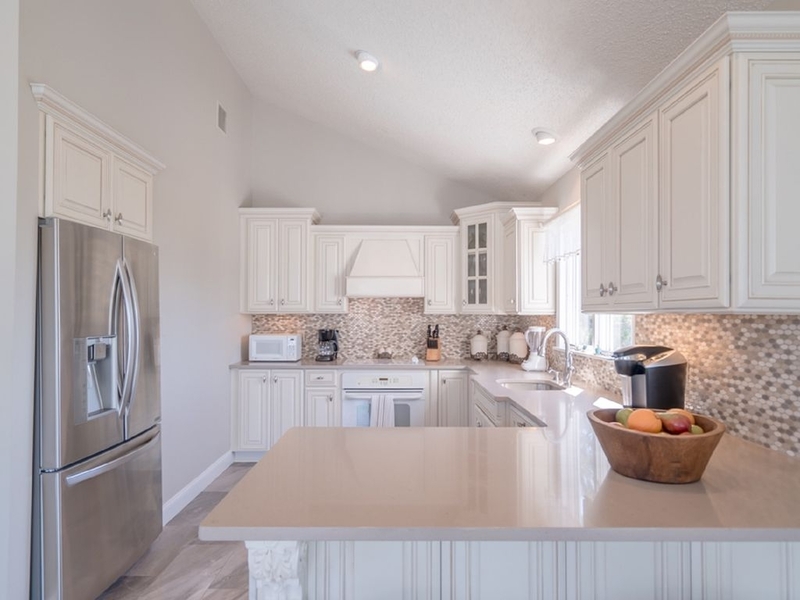 **NEW 2018 UPGRADES include Outdoor Kitchen with natural gas BBQ and 2 refrigerators. 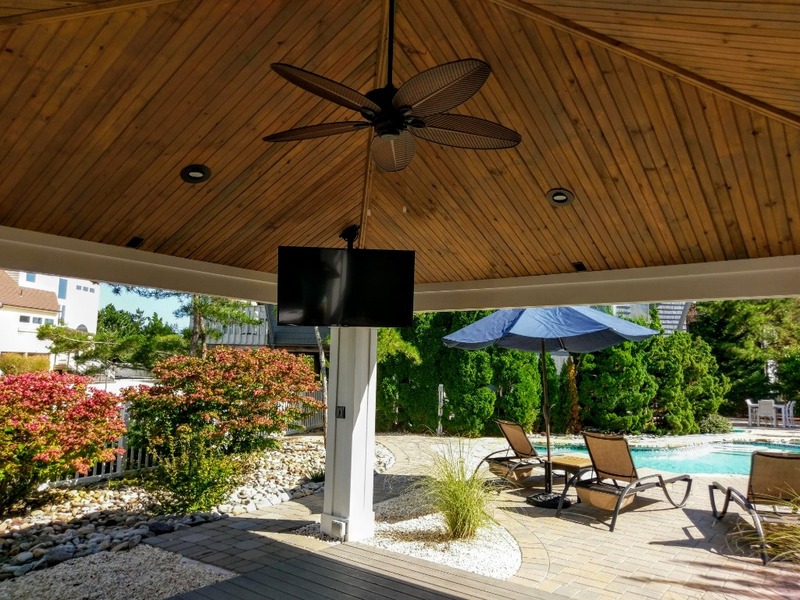 Backyard Pavilion with Roku TV, seating, ceiling fan and dimming lights and Fire Pit!!! Please NO PROM GROUPS OR GROUPS UNDER THE AGES OF 30. 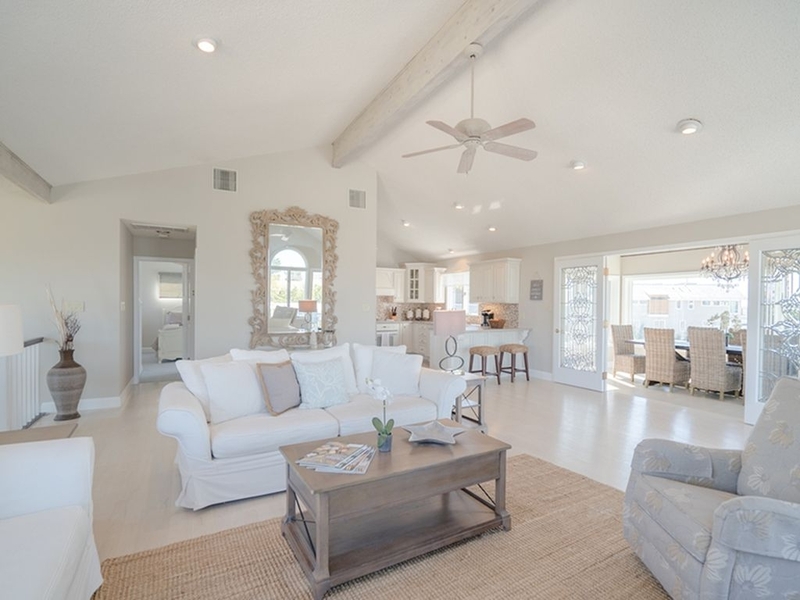 This is truly a one-of-a-kind luxury home featuring a spacious, bright, and airy family room with Nantucket-style sofas and neutral decor. 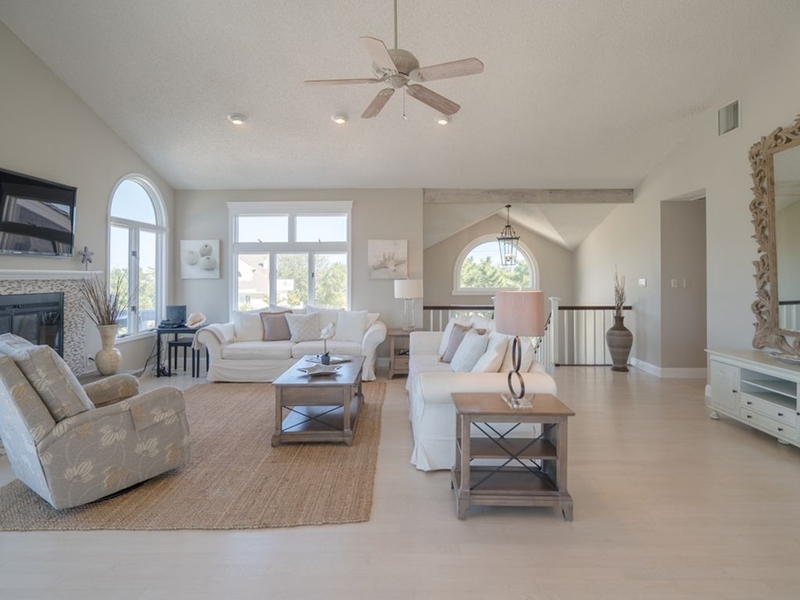 Large windows and patio-style doors allow beautiful coastal light and sea breezes to flood the living spaces of this reverse-living style home, and also provide spectacular bay views and sunsets from the spacious dining room on the top floor. 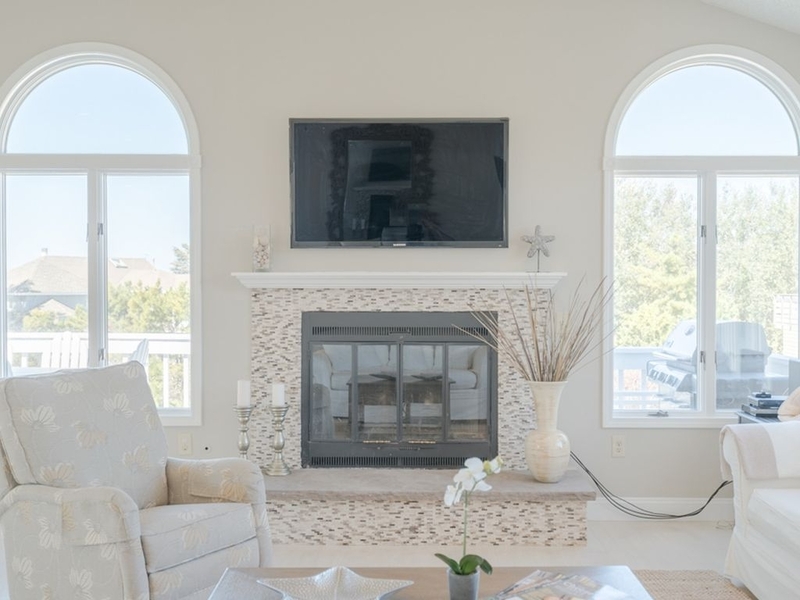 The living room, with its graceful arched windows, has cathedral ceilings and white-washed hardwood floors. Great space to relax and watch the 65” flat-screen TV, complete with Blue Ray DVD Player. Wireless high-speed internet will keep you as connected as you want to be during your vacation. 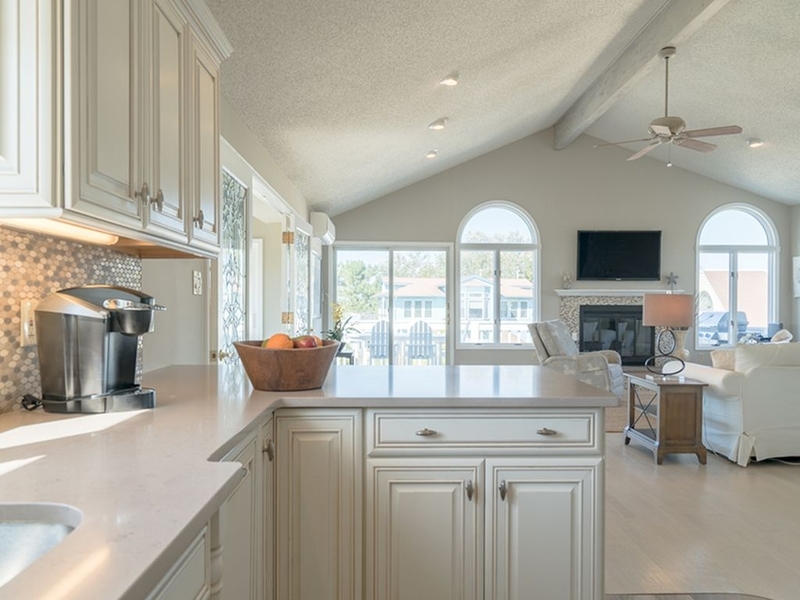 The well-equipped gourmet-style kitchen has granite counter tops, stainless double wide refrigerator, quartz counter tops,and a Keurig. 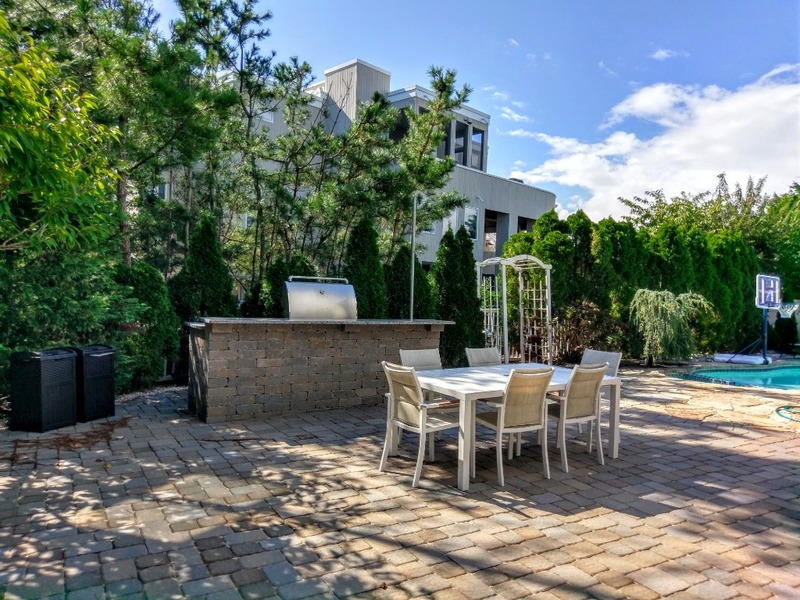 Like to cook your meals outside? There's a natural gas grill for cooking outdoors. NEW IN 2018! 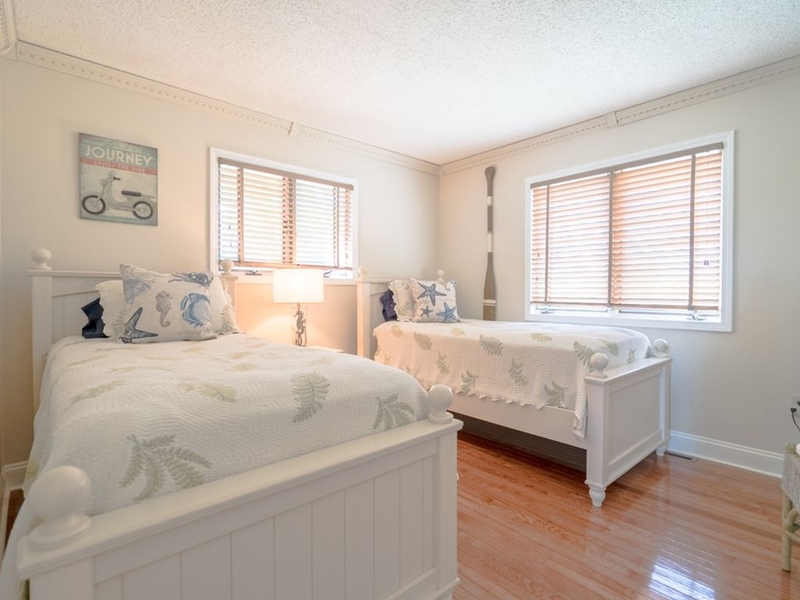 Also located on the top floor, A MASTER BEDROOM UPDATE INCLUDES A KING BED AND A NEWLY-REMODELED PRIVATE BATH, with a small balcony overlooking the back yard and offers bay views. 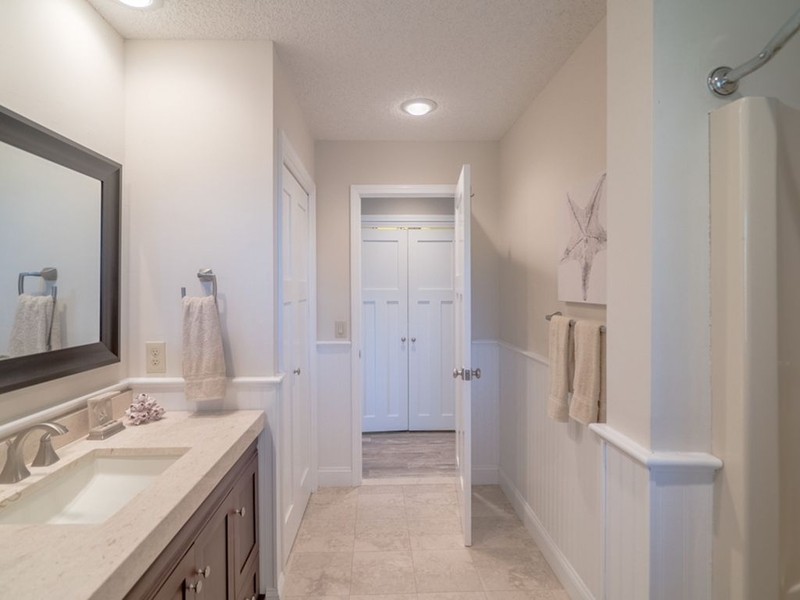 A separate powder room is also located on this floor. There is another larger deck on this floor off the living area. 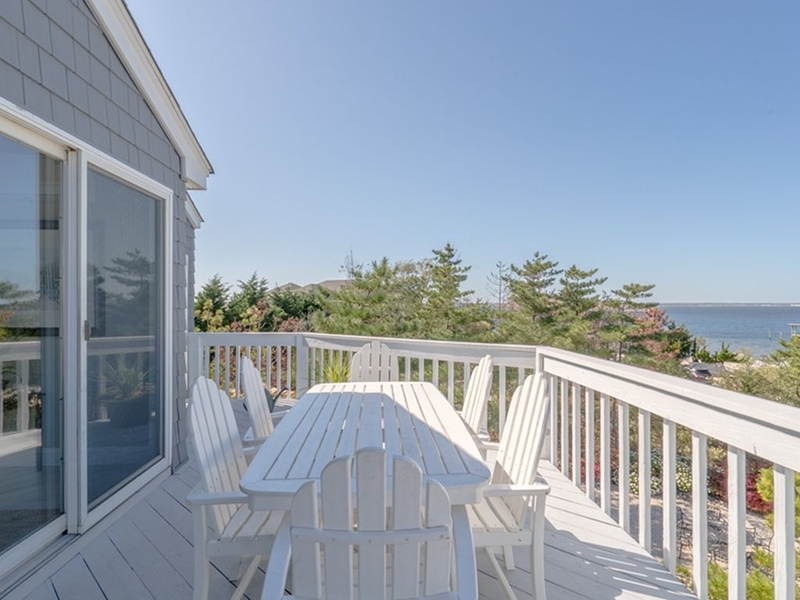 Here you can enjoy your dining and grilling while enjoying bay views. 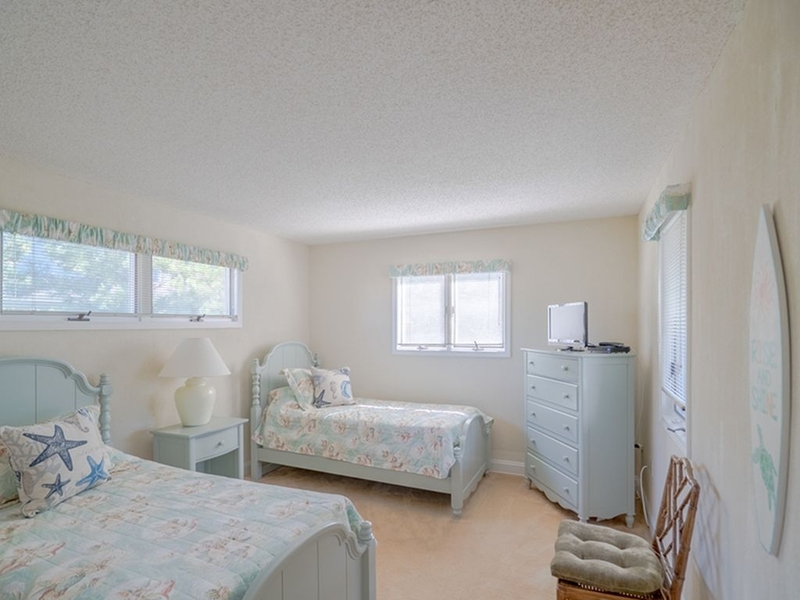 2 Twin bedrooms with TV, closet, ceiling fan, chest of drawers, night stand. 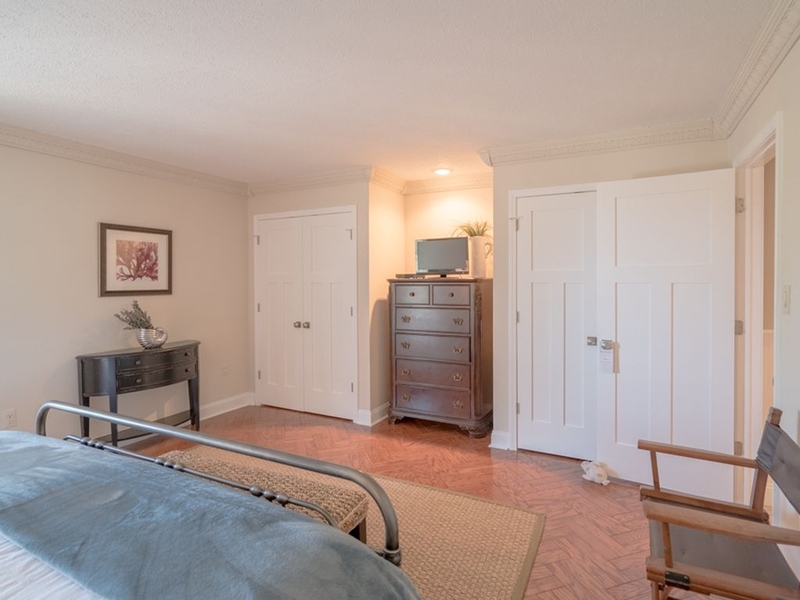 King guest bedroom - offers a large bedroom with 2 closets, TV, ceiling fan, sitting bench, 2 night stands with lamps, large wall mirror, slider to deck with chaise loungers. 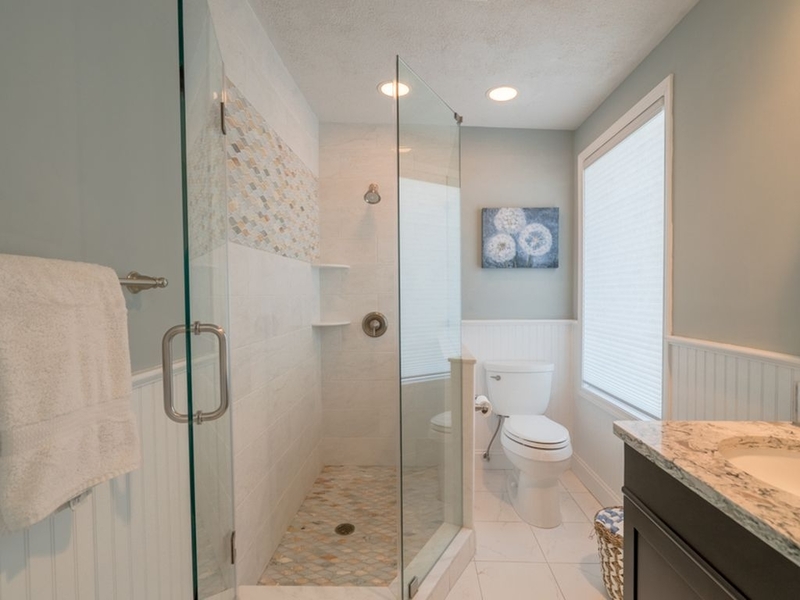 Guest bathroom - tub/shower combo, large vanity, mirror, toilet, linen closet. Laundry area - located in hallway, washer and dryer. The pool room can be found on the first floor. This is a fantastic area for the kids to gather. This room also has a sleeper sofa, small refrigerator, flat screen TV, and direct access to the pool. 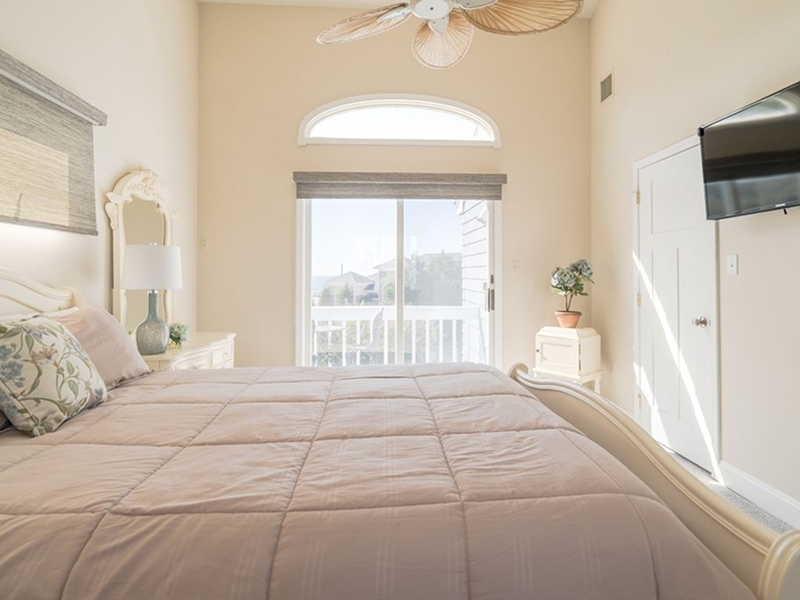 This bright and airy beach home has many special features including gorgeous gardens with a free-form heated pool and blue-stone patio area. 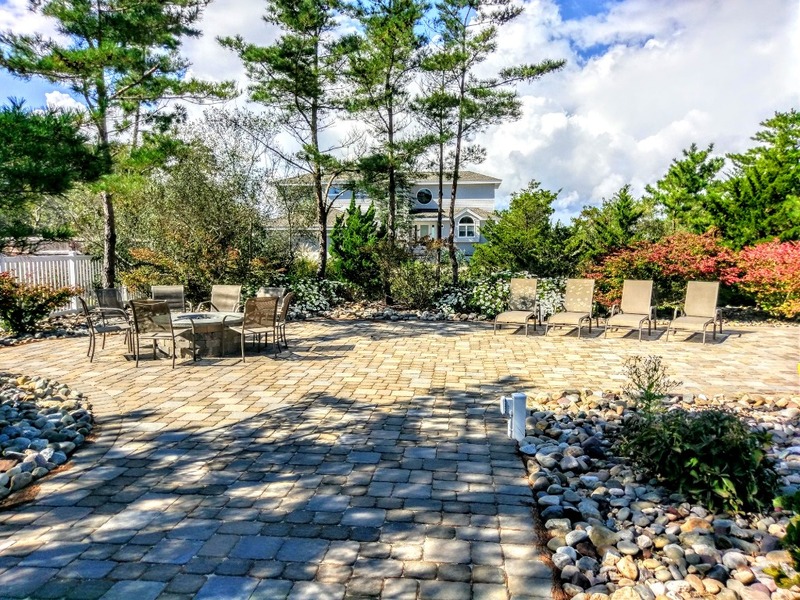 The pool area has been expanded to allow for more lounging and dining areas, and the side yard area is now being utilized to add more outdoor gathering spaces including a gas fire pit. 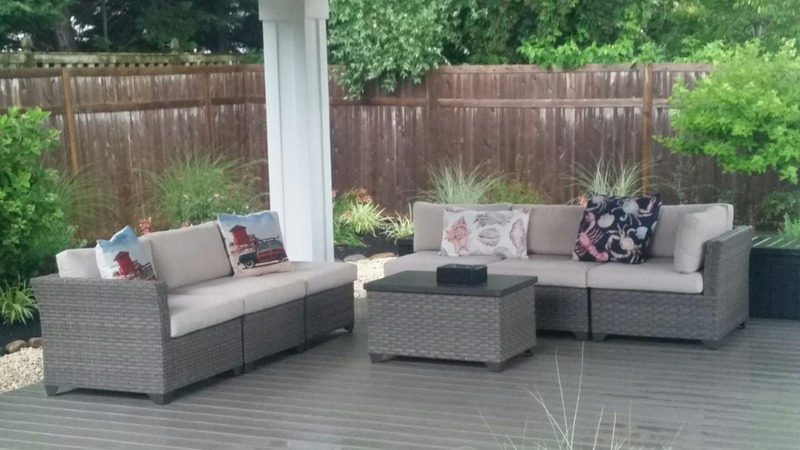 A pavilion covered lounge area set on a raised platform has been added, providing a comfortable sectional sofa and chair seating. Perfect for an evening of entertaining! Additional covered dining table is located by the outdoor kitchen. 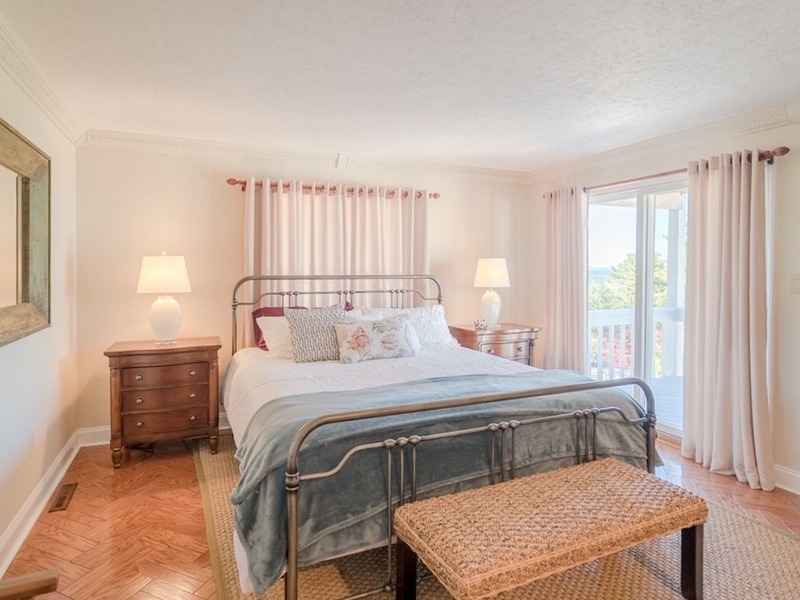 This home includes linens and bath towels (in season only). Guests must bring their own beach towels. Beach tags are provided. 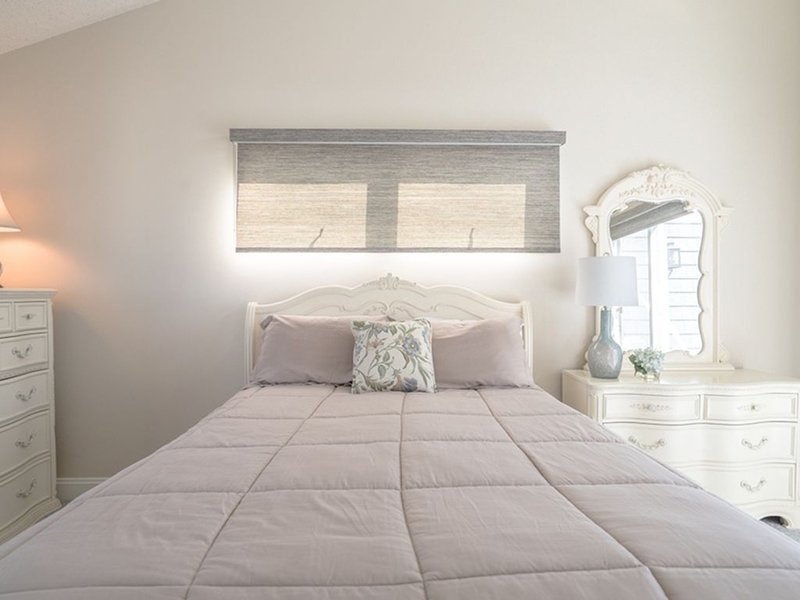 The home is sure to bring your family and friends a relaxing fun experience. A life-guarded beach is located just a short walk (3 blocks) North on the boulevard at Lady Bug Lane. You can also drive if you prefer. Here you will find parking, tennis courts, and a changing room with restrooms. A large wagon, beach chairs, and umbrella are provided. Take 72 East to a left onto Long Beach Blvd. Drive through Surf City, North Beach, and Harvey Cedars. The town after Harvey Cedars is Loveladies. Property is located on the left side of the boulevard. 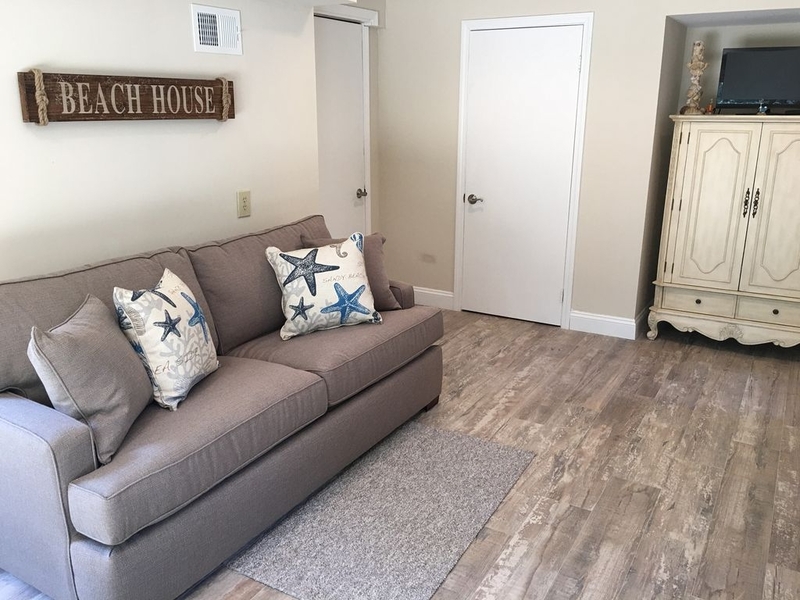 06/22/2019 - 06/28/2019 SPECIAL Early Beach Get Away! 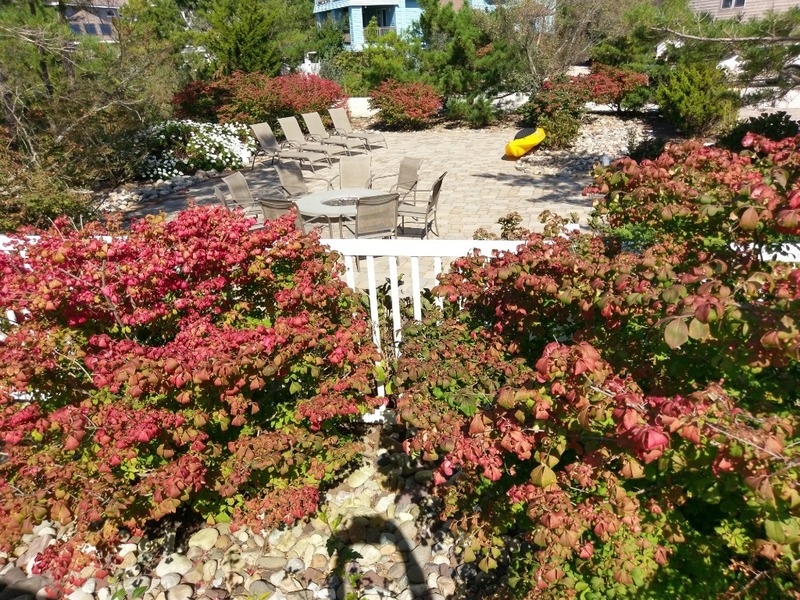 A beautiful house with wonderful amenities in the quiet town of Loveladies NJ. Access to the beach was easy and our entire family enjoyed our stay so much we are coming back next summer. I hate to provide a great review for fear that the property will become unavailable to us in future years because of increased demand. 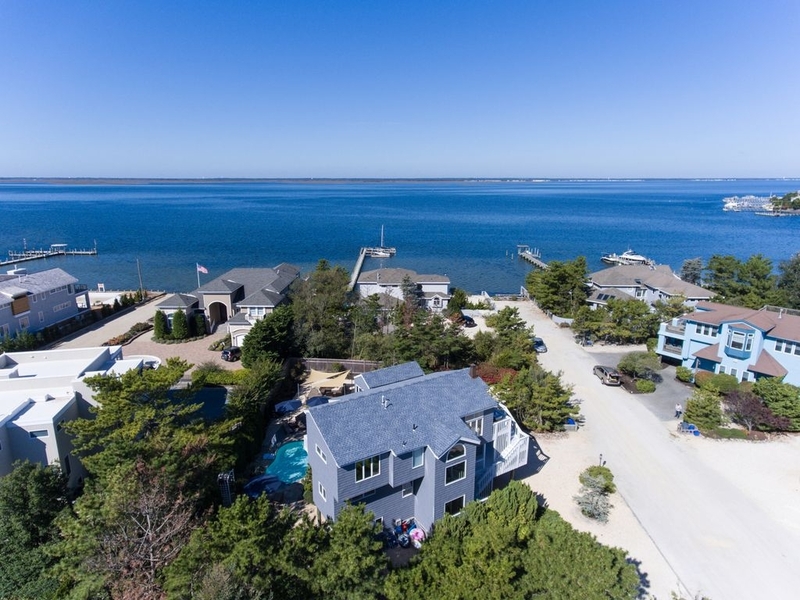 But in fairness to the obvious TLC put in by the quite responsive owners, I have to say that this is a magnificent property upgraded and crafted to provide a spectacular LBI experience. 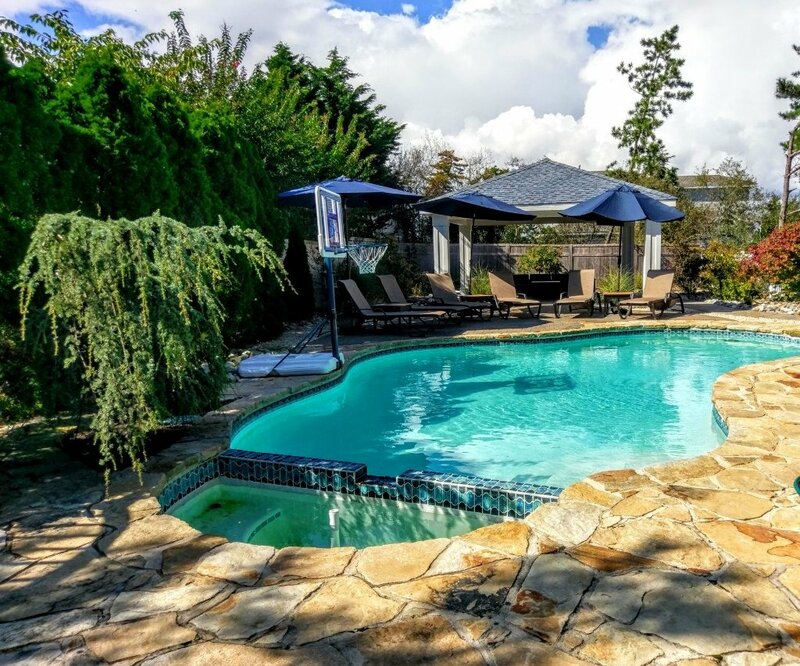 The property is spacious, and designed to maximize the hours of sun on the pool. The outdoor pavilion with a large screen TV is an oasis out of the sun. 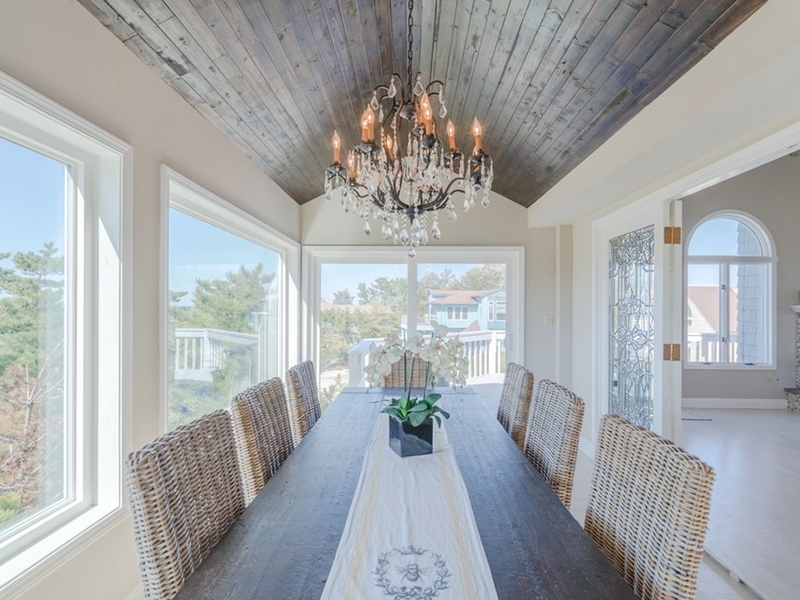 The interior is light and airy, and well-decorated with a true beachy feeling to it. And the sunsets from the deck are like nothing else. The beach is a short and easy walk away but it was hard to drag ourselves away from the great pool set-up on this beautiful quiet bay block. What a spectacular home! weather. When we needed anything it was taken care of. disposal. Trust we left the house in good order.